Set in an Italian film studio during the height of Giallo movie-making, it is perfectly fitting that Berberian Sound Studio delivers reels of chills, thrills and spills. Amazingly, it does so without succumbing to the trappings of eye-rolling ‘jump scares’ or masses of gore and guts. Instead, director Peter Strickland patiently allows his piece to breathe before exhaling mesmerising psychological torment. But this isn’t just a brilliantly executed horror film. To say so would be doing the intricately crafted weaves of story telling a disservice. 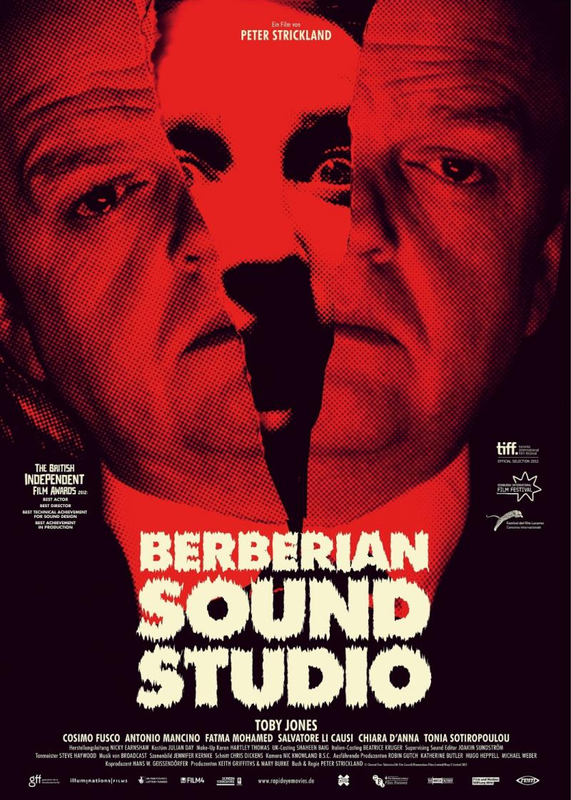 Berberian Sound Studio is an appreciation of the mechanics behind film creation; it is a staunch head shake in the direction of misogynistic bigwigs and overpowering assistants; it is a commentary detailing the struggle and neglect of fame-deprived sound engineers and the like. As the climax dawns, each of these elements come together to create a slow-burning but entirely scintillating mosaic that wishes to glance back fondly, denounce universally and terrify immediately. Female actors are subject to overly harsh treatment as they provide voice-overs, to the point of physical damage from relentless takes of screaming and shrieking. Another crew member — frequently present in the sound studio — hardly says a word, indicating a lack of inclusion in the process and perhaps symbolising a lack of dispersed acknowledgement throughout the industry. In fact, the only time any attention is paid towards Gilderoy is during a power cut, when sight is hampered and sound is the only prevailing mode of entertainment. The film’s potency in its upfront portrayal of disingenuous higher-ups (not necessarily directors) commands significant consideration. Is this hierarchical and at times maniacal process of filmmaking warranted if a successful product spawns as a result? It could certainly be argued that Alfred Hitchcock’s very well documented directorial style on set was effective in that it produced genuine emotion from the likes of Tippi Hedren in The Birds, but that most certainly doesn’t mean it is morally justified. Strickland’s focus on the questionable side of filmmaking is all the more striking when viewed alongside an equal measure of love and affection on display, aimed towards the movie creation process. Intriguing and entirely justified, paralleling the universally positive and occasionally negative side of the industry shines more light on the wonderful mechanics of it all, but also shrouds some events in darkness. Impeccably shot by Nicholas Knowland, the film gives off an air of satisfaction amongst chaos. Gilderoy, whose initial preconception was that the job entailed generating sounds for a film about horses, utilises a whole manner of fruit and veg in his foley work, in turn accurately and grossly mimicking squashed guts, sliced limbs and broken bones. Yet there still remains a sense of achievement as he completes each sound to great effect, and this aura of accomplishment wades its way throughout Berberian Sound Studio as a metaphorical love letter to Giallo movies, and more broadly filmmaking in general. Vintage film reels and wall charts are eventually incorporated into the madness, as these physical, common instruments of filmmaking begin to entrance Gilderoy. This notion of psychological torment being imitated through reel (rather, real) life provides a bridge enabling proceedings to cross into hair-raising horror, as everyday inanimate objects begin to take on a existence of their own. Instances of creepy imagery, of which there are plenty, would only overstay their welcome had they not been delivered so horrifyingly well (that flashing “Silenzio” and those voice-over artists in action are both incredibly unsettling). Sound becomes ever flowing and each wave of noise is amplified, but not in an attempt to collect cheap frights from the audience. As the film moves into its final act it becomes more and more difficult to process what is genuine and what isn’t, a trap Gilderoy is consumed by also. Toby Jones’ efforts as the out-of-depth Gilderoy should be commended; his underplayed, soft-spoken delivery gives the mania surrounding his character an even greater voice and Jones’ performance is even exceptionally poignant at times. In only his second feature film, Peter Strickland has unleashed a multi-faceted tale of hysteria and madness, propelled by horror and laced with appreciation. Each of these individual elements mesh together sublimely, indicating an even brighter future for the filmmaker. 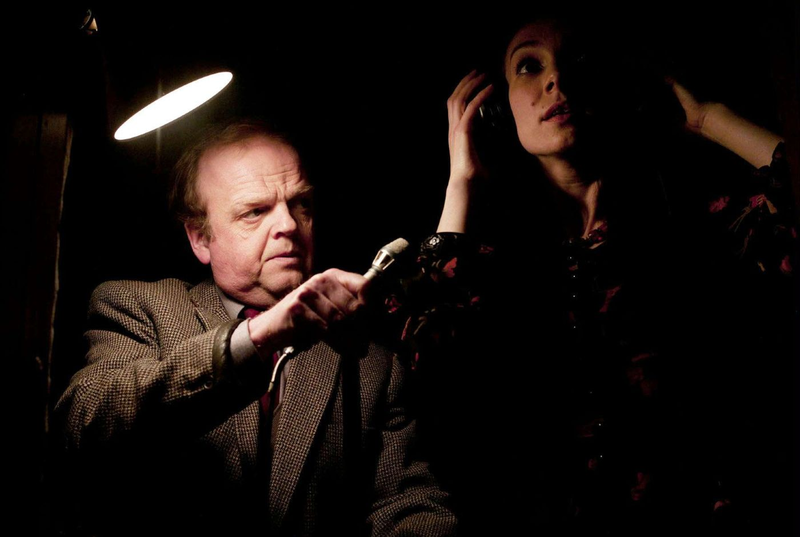 Horror aficionados will love Berberian Sound Studio, and there’s a good chance everyone else will too. I don’t usually chip in if I don’t agree, and I concur that Toby Jones is excellent, but I REALLY struggled with this one. It’s on my yet to be published ‘least favourite films ever’ list. Great post though, i like your writing style. Bit of a cliche, but it certainly seems to be one of those ‘love it or hate it’ kind of films. Yeah, Toby is great. Thanks, i appreciate it!